Taste mystery and intrigue on a revealing tour of Russia - a land that lay hidden behind the Iron Curtain for decades. Experience the grandeur of Moscow, the beauty of Russia's ancient capitals Suzdal and Novgorod, and the grace of St Petersburg. Visit the intricately detailed cathedrals, historic monuments, age-old treasures and romantic landscapes of this great nation, and find the heart of enigmatic Russia. Traveling over New Years? Take a look at our special 'Russia Highlights - New Year' Itinerary (Trip Code WBSW). Julia our guide was fantastic. I enjoyed all the smaller villages we went to. I really liked the balance of free time and organized activities, i felt i did more than i anticipated. What I really enjoy about Intrepid is the fact that they have a very heterogenic group from people coming from all over the world. The activities planned include so many local experiences that are enriched by this multicultural group that the overall result is very enlighting. The tour is a great insight into mother Russia. It's perfectly paced with enough free time to enjoy local life there. Our tour guides were brilliantly knowledgeable and Yulia our cheery tour leader made it even brighter. The agenda was completed as listed by original brochure in addition the guide Yulia Rusak was a great profesional that really gave the extra mile for us to get the best of this tour! Visit the mausoleum of Russia’s most famous revolutionary – Lenin. He was the initiator of the 1917 Russian revolution that ushered in the era of communism, and you will join the sometimes long queue lining up to visit his austere eternal resting place on Red Square. Then enter the Kremlin grounds with a local guide, home to the oldest and most important churches in the country, and where many Tsars and Tsarinas are laid to rest. Walk through the soaring towers and cathedrals of the political and spiritual heart of Russia before entering the Armoury Museum, home to an eye-bulging former royal collection of ambassadorial gifts, Faberge eggs, coronation robes and glittering jewels. This evening board an overnight train to Novgorod (approximately 8 hours) from Moscow's Leningradskiy railway station. Trains on this journey are simple but comfortable. You’ll travel 2nd class on this trip. There's a toilet/bathroom at the end of each carriage with a small sink and cold water. An attendant is assigned to every carriage to look after your comfort and safety (although service standards can vary greatly). Each compartment has four bunks with luggage storage space inside. Bedding is provided, although some travellers still prefer to bring their own sleeping sheet. There's hot water available for making drinks or instant meals, tea and coffee. Sometimes snacks and drinks are available for purchase on board and most trains also have a dining car, although with a limited menu. Please note that in many cases, due to high demand for tickets on this route, the group is not always together. It's likely that at least some members of the group will be sharing compartments with other travellers, either foreign or local, particularly if your group does not divide evenly into four. A brief word about drinking on the train: Social drinking is common on trains in Russia and can be an enjoyable way to meet local people as well as interact with your fellow Intrepid travellers (in moderation). While alcohol is often available for purchase on the train, spirits (including vodka) should only be consumed in the dining car. While we certainly want all our Intrepid travellers to have a great holiday it's important that you show due respect for your fellow group members, and keep in mind that many of your local companions use the train as a means of transport to get home or to work. Travel by private bus from Novgorod to St Petersburg, one of Russia’s most celebrated cities (approximately 4 hours). Truly one of Europe's finest cities, the living museum of St Petersburg is a blend of baroque European architecture and Russian royal history, built by the Russian tsar Peter the Great, whose legacy can be felt in its enigmatic streets and showcase cathedrals and museums. After arriving and checking in, go out on a walking tour with your leader to learn about this great city. 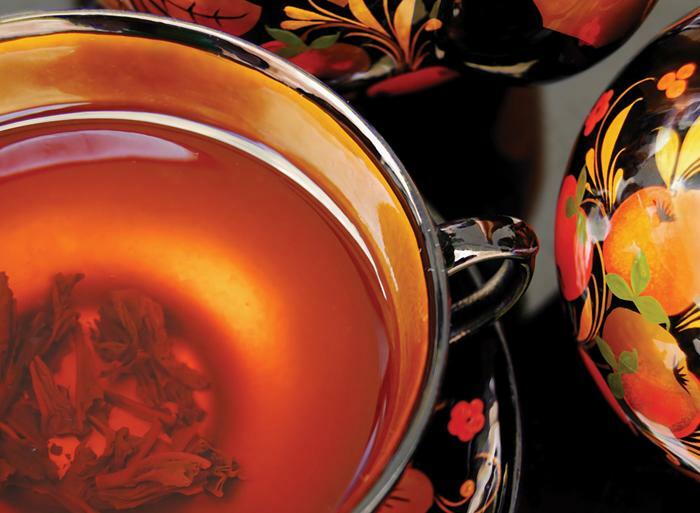 In the evening, visit the home of our local friends and have a tea party Russian-style. Not all family members speak English, but with your leader on hand to interpret and their warm hospitality, you'll be feeling like one of the family in no time. These families live in St Petersburg's communal apartments, which date from Soviet times. Such apartments and their way of living have ceased to exist in other Russian cities, but they are still common in St Petersburg. This is a truly unique local experience that you won't find anywhere else.